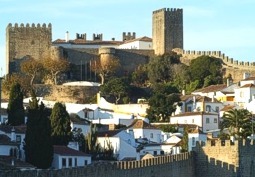 Obidos has the distinction of being one of Europe’s most romantic medieval villages. It is also known as the ‘Wedding Present Town’ for this beautifully preserved walled settlement was a gift from King Dinis in 1282 to Queen Isabel on their wedding day. With the white, sandy beaches of the Silver Coast within easy reach, and one of the finest golf courses in Europe, Obidos would be perfect for a romantic getaway. Only 110 kilometres from Lisbon, this picturesque town with flowers decorating the white washed houses and cobbled streets is completely encircled within the walls of a 12th century castle. Centuries ago, the sea used to come right up to the walls of the castle, and if you are not afraid of heights, walking the medieval ramparts will provide a marvellous view of the windmills and vineyards stretching across the countryside. 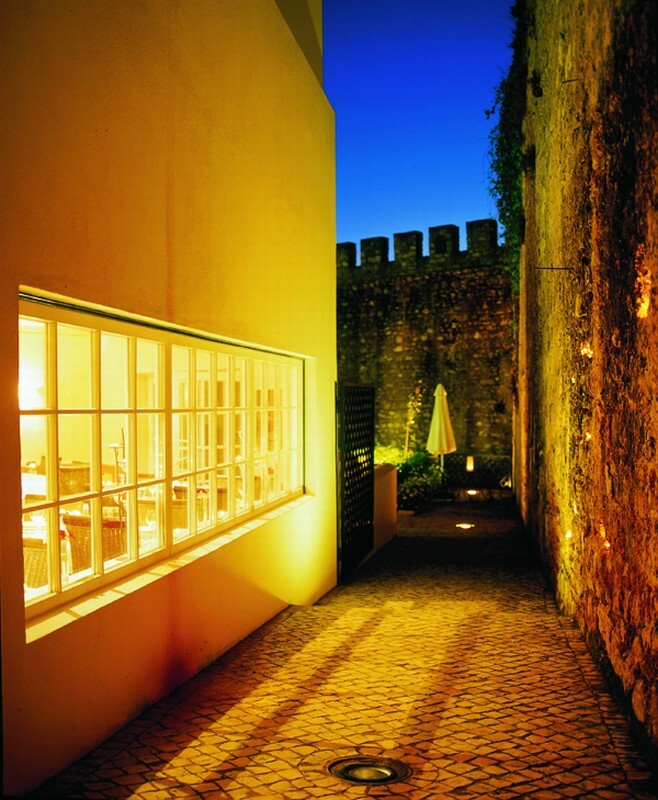 The castle itself is a national monument, and was converted into an elegant Pousada also known as Hotel de Obidos. With only a small number of bedrooms (some with four poster beds) you can share the ambience of the castle in relative privacy. Also within the walls of the town is the Casa Das Senhoras Rainhas Inn, equally charming but less formal, and each room has its own balcony or terrace. The restaurant serves outstanding cuisine, and it is advisable to book early as it is considered one of the best in the area. Other alternatives outside of town which come highly recommended are two manor houses; Casa d’Obidos is in a lovely rural setting only 1 km away, and the 19th century Casa Sao Rafael is a two kilometre drive, and has outstanding views of Obidos and the castle From the town gate is the main street, Rua Direita, which is decorated with 18th century tile panels, and leads to the the town’s main square, Praca de Santa Maria. Here you will find a 15th century pillory, a beautiful fountain, and a museum exhibiting archaeological artefacts and paintings. Some of the paintings are the few remaining works of Josefa de Obidos, who was one of only a handful of female artists in the 17th century given public commissions. The shops in Obidos are filled with local handicrafts promoting traditional skills, and each year in July there is a medieval market where for two weeks you can experience a taste of the Middle Ages. There are will be knights jousting, theatre performances, jugglers, jesters, and medieval music. Obidos also hosts the annual International Chocolate festival, where anyone who loves chocolate will be able to see divine sculptures on display. Although it is hard to pull yourself away from this charming city there are many other things you can enjoy, all within a short drive of Obidos. The Praia d’El Rey is one of Europe’s finest golf courses, and being right on the coast there are spectacular views of the ocean and the local nature reserve of the Berlenga Islands. There are also the white, sandy beaches of Foz Do Arelho, a delightful village off the Silver Coast, with several bars and restaurants, all with amazing sea views. If you are travelling with a group of friends or family, renting a villa is often a popular option. Not far from Obidos is Fora da Caixa, a lovely villa that sleeps up to ten people, and overlooks the Obidos lagoon. The villa is located in Costa da Prata and centrally heated, so it can be enjoyed any time of the year. It also has its own swimming pool and garden. If you feel like dining out at any stage, the neighbouring ports of Peniche and Nazare provide a wide variety of restaurants specialising in fish dishes. 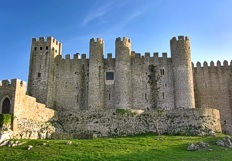 The nearest airport to Obidos is in Lisbon, and from there you can catch a train or take the motorway by car. This historic fortified village is one the most enchanting and picturesque towns you will find in Portugal and not to be missed.